These are exciting times for the smartphone community, no? We had CES 2011, which almost felt like it was smartphone/tablet-only event, MWC just ended - and some great, great devices were demonstrated there, while Nokia announced it's making Windows Phone its primary smartphone strategy. Yes, that's right, and you can read more about Nokia's plans here, while some of the aftershocks that were felt throughout the high-tech world are documented in this news article. Most of you (33.6%) claimed this is a revolution in the smartphone industry. Furthermore, these lads added they are already pondering whether to buy a WP Nokia handset when such phone is available. Second are those of you (30.77%) who voted this is a big gamble for both Nokia and Microsoft, as WP is yet unproven and Nokia has lost some of its momentum on the high-end front. 21.01% thought that a single word would do the job and simply yelled "FAIL". And, finally, we have a minority of 14.62% who claimed they are unsure about this "strategic alliance", but it's nevertheless good as a whole because it "will bring more competition". I think Nokia has a chance here. If Microsoft throws itself into flushing out the missing features of the fledgling OS and attracts developers, while leveraging Nokia's experience in adding functionality to handsets and creating stellar camera's, then WP phones could become just as exciting as Android phones. How's battery life on nokias? Nokia hardware in general is good. Battery included. Those Europeans know a thing or two about putting a phone together. I like the idea of a Nokia WP7. It's proven hardware with new, exciting software. Always a good pair, no matter what the brands. I, personally, would like to see a Nokia with the Android OS since it's so popular. A winning combo there. Nokia has great hardware including good battery and antenna. WP7 has been on the markets no more than six months. 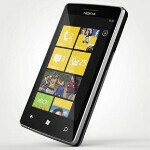 And Nokia has been around long time, it will be interesting to see how the new OS goes into the hardware. Since Nokia has been known for efficiency. Either one will have to compromise, Nokia hardware spec. may boost higher to accommodate new OS or WP7 has to level down for efficient like Symbian OS on battery usage. i think nokia was right to pick windows over android or whatever other os there is. sorry to say this but majority of nokia/symbian users tend to be less techie and android is not exactly the easiest os to pick up. I don't know why you people mentioned that Nokia has best hardwear! I'm nokia user for ages Nokia doesn't has the best hardwear and this not true some Nokia fans including me before I thought that Nokia has the best hardwear but I discover that Nokia don't.